LEDARTIST designed Asia’s FIRST full LED yacht. 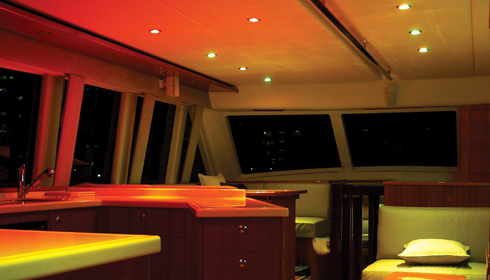 All interior and exterior lighting for this world-renowned Riviera 64 yacht were replaced by a user-friendly LED lighting system. A wall-mount control pad was installed in the cabin to control 9 pre-programmed lighting sequences, in both white & color-changing modes.